They can go by a number of names: in-app messages, in-app notifications, in-app messaging andMessage Center messages. They are a vital component of an overall mobile messaging strategy, which includes other messaging types such as push notifications, mobile wallet messages, email and SMS . 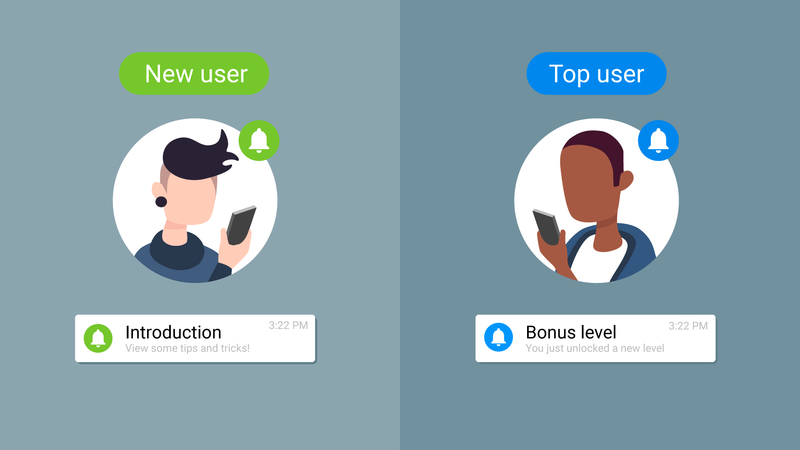 In-app message is a rich, visual notification that appears as a direct response to what a user is doing (or, is not doing, but should be doing) in your app.